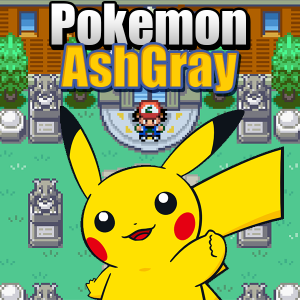 With the useful informations you read on the homepage, I am sure you will like Pokemon Ash Gray and want to try it. If you are looking for Pokemon Ash Gray Download, this page provides the high speed links to you. It can played well with GBA Emulators on Windows, Mac OS, Android, iOS. The lastest Pokemon Ash Gray ROM version is Beta 4.5.3 which is hacked up to the episode 50 of the Pokemon Anime. The game is still in-progress and will have update versions with more episodes soon. Many thanks to colcolstyles, JPAN, TheDarkShark, Jambo51, JPAN, diegoisawesome, HackMew, con-11, mvidmaster, Alistair, OceansLugiaSpirit, ShinyAeon, Surav, JohnnyRoll, Kyledove, spriters-resource.com, zappyspiker, Pyromaniac45, Konekodemon, KurcioDurcio, Denali for helping to complete fully Pokemon Ash Gray. This game is belong to metapod23. 05/2015 – Beta 4.5.3 Version has been released. 07/20/2013 – Beta 4.2 Version has been released with bug fixes. 07/13/2013 – Beta 4.1 Version has been released. 07/10/2013 – Beta 4.0 Version has been released. 09/13/2011 – Beta 3.6 Version has been released including new animations, tiles, scripts. 08/14/2011 – Beta 3.5 Version has been released. 07/26/2011 – BETA 3.0 Version has been released. If you download this game, you should view our Walkthrough Guide for the best gaming experience.